It makes sense that before you can improve a process you need to fully understand where you are and what needs to be improved. Experimentus are the world’s leading provider of Test Maturity Model integration (TMMi) services to help you identify your current level of test process maturity; prioritise, plan and make improvements; and, if desired, attain independent certification of your level of maturity. TMMi is applicable to all software development lifecycle models and many organisations have found it invaluable as a basis for process improvements. Additionally, we provide formal assessments that lead to a certification from the independent TMMi Foundation. This demonstrates a consistent quality approach to internal stakeholders, clients, potential clients and the industry in general. 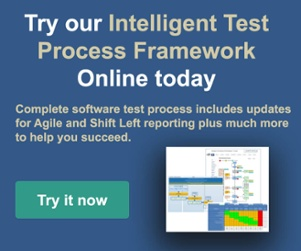 Due to the limited attention given to testing in software process improvement models such as CMMI, the Test Maturity Model integration (TMMi) was developed by the TMMi Foundation as an independent guideline and reference framework for test process improvement. It is positioned as complementary to CMMI and, just like the CMMI staged representation, TMMi uses the concept of maturity levels for process evaluation and improvement. The structure of TMMi allows process improvements to be identified at every level, from the highest to the very lowest level of detail. There are 5 Levels that are split into 16 distinct Process Areas. These are made up of Specific and Generic Goals, which are in turn made up of Specific and Generic Practices. At the lowest level, there are 845 Sub-Practices that can be reviewed and assessed, giving an unrivalled repeatable in-depth view of an organisation’s test process maturity and a basis for test process improvement. For more information on how you can use TMMi to start your process improvement journey, or attain a TMMi certification, please contact us for more information.